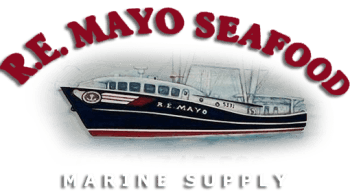 RE Mayo Seafood brings a century of tradition to sailors, seafood lovers and to anyone that loves the coast. Located on the Intracoastal Waterway (ICW) in Hobucken, NC, RE Mayo Seafood is ideally situated for the boater. Our facilities, service and dockage are geared towards the transient, sail and power vessel alike. As the name implies, RE Mayo Seafood specializes in seafood. We have long been known as the hub for locally caught fish, crabs, scallops and shrimp. You can buy a wide variety in just about any quantity you like. We’ll pack it for you fresh or fresh frozen!